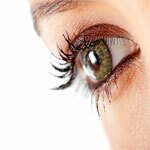 When you think of heart health, you may not necessarily think of eye health. But cardiovascular disease and age-related macular degeneration (AMD), the leading cause of blindness and low vision in the United States, share risk factors, including smoking and high blood pressure. Research finds that C-reactive protein (CRP), a marker for low-grade inflammation, is also an indicator of both heart disease and AMD. Low-grade inflammation has been found to be a major factor in virtually every chronic degenerative disease, including cancer, diabetes, Alzheimer's disease, and cardiovascular disease. This type of inflammation can be triggered by stress, obesity, infections, an imbalance of dietary fats, and other factors. Measuring C-reactive protein in the blood is the most common test for this silent inflammation, and studies show that it is a sensitive marker for evaluating the risk of coronary artery disease. People with high CRP levels are more likely to develop stroke, heart attack, and severe peripheral vascular disease, which refers to diseases of the blood vessels outside the heart and brain. Research also finds that elevated CRP levels are linked to age-related macular degeneration. AMD is associated with aging and results in damage to the central vision, which is needed for everyday tasks like reading and driving. AMD affects the macula, which allows the eye to see fine details. There is significant evidence that elevated levels of high-sensitivity C-reactive protein (hsCRP) indicate a greater future risk of age-related macular degeneration. In an analysis of data from five large studies, after adjusting for smoking, individuals with high hsCRP (more than 3 mg/l) had a 50 percent greater risk of developing AMD than those with low hsCRP (less than 1 mg/l). "This information might shed light on underlying mechanisms and could be of clinical utility in the identification of persons at high risk of AMD who may benefit from increased adherence to lifestyle recommendations, eye examination schedules, and therapeutic protocols," says Debra A. Schaumberg, ScD, OD, of the Harvard School of Public Health, a co-author of the analysis. Diet and lifestyle factors are the major contributors to inflammation and elevated CRP, and there's a lot you can do to help curb silent inflammation and maintain healthy CRP levels, such as exercising regularly, achieving and maintaining a healthy body weight, and not smoking. Enjoy a heart-healthy Mediterranean diet rich in fruits, vegetables, whole grains, nuts, and seeds, fish, and lean poultry. Eat less saturated fat from animal products and incorporate healthy fats like olive oil and omega-3 fatty acids. Up your omega-3 intake with supplements containing 1,000 mg of EPA and DHA daily. Omega-3 fats help fight inflammation throughout the body, and they are critical for both eye and heart health. Omega-3s are linked to healthy cholesterol, triglycerides, and blood pressure, and studies find that individuals with a healthy balance of omega-3 and omega-6 fatty acids are less likely to have macular degeneration.